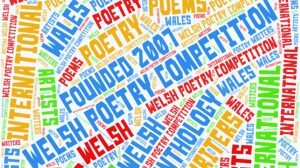 Welcome to the Welsh Poetry Competition web site. The 13th international competition is now open and accepting entries! 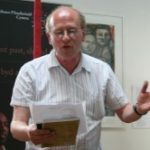 Mike has been at the forefront of Welsh literature for many years, has won numerous awards, is widely published and much in demand for his lively performances and writing workshops. To ENTER – click here. To keep up to date please sign up to our newsletter to be kept informed about closing date, winners and anthologies. We have just started a ‘news’ page where we hope to share some blog posts with you every few months. It’s early days yet but check them out here. If you have something you’d like to add though just email us to discuss. We have also just begun to create a Writers of Wales database. This long overdue A to Z resource aims to highlight all the great authors in the country and not just the chosen few. If you would like to be added to our mailing list just click the link below and we shall let you know when we update the web site, announce winners and launch the next competition. 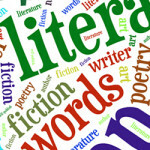 We also offer writing tips, marketing ideas, author quotes, free poems and self publishing news. Our previous newsletters for the poetry competition and our self publishing company are now combined so you get less email. We usually send one email a month and you can unsubscribe at any time. International Welsh Poetry Competition uses MailChimp for our newsletters, they are GDPR compliant and we never give your e-mail address to anyone else. We have two fantastic anthologies available containing all the winning poems from the first ten years of the competition. The First Five Years anthology contains over 100 previous competition winners (2007-20011) plus judges comments by John Evans, Mike Jenkins and Sally Spedding. Now available direct from us at a special offer price of just £5.99 (free postage). Our second book – Ten Years On – contains all the winners from the last five years (2012-2016) along with the judges comments by John Evans, Sally Spedding and Eloise Williams. Available from the publishers for £8.99 plus postage. If you would be interested in buying a copy and helping to support the competition click here for more details. Why not check out Publish & Print – a new self-publishing company based in south Wales that offers poets and writers an affordable yet professional service for those wishing to join the self-publishing revolution. To join our Facebook Group* and post your poems for the world to see and judge, or just chat about poetry or the competition click here. *Note: You will need your own Facebook account to join in. Tweet @radhiphang **Note: You will need your own Twitter account to join in. We should remind you that the competition is funded purely by the organisers & entrants and we receive no grants, bursaries or funding from the Arts Council of Wales, Literature Wales, Welsh Books Council, RCTCBC or any other external agencies whatsoever. If any libraries, writing groups, Facebook groups, Twitter followers, schools, universities, arts organisations, poetry workshops, bookshops, art galleries, councils etc. would like more information please let us know. You can email us or write to us at the usual address. We are more than happy to post out entry forms to you. Also feel free to download copies yourself as it saves us money and more money goes to prizes next year. To read the rules – click here. when is the next competition please and how do i enter. Sad to hear of Literature Wales’ appalling treatment of the competition. Just goes to show how backward these people are. This awesome contes is known throughout the world for discovering truly amazing poets and these idiots can’t see they need to be supporting it both financially and marketing-wise. And people wonder why Wales is so poor. Very sad. Keep up the good work Dave, maybe they’ll knight you in the alternative honours one day, heh heh. Great competition, great poets, keep up the good work!! Great website and great competition – keep up the good work! Thank you for my ‘mention’ in your poetry competition. It is much appreciated. It will be great to read the winners in full. Can I assume that your 2017 poetry comp. results will be available approximately by mid July again? Thanks for letting me know – I looked everywhere on your literature and couldn’t find a date but got a clur from reading these readers comments/queries. Hi Dave, does each poem need to be a separate attachment? Or can several be placed in one document for email, each with a separate page and title of course! Welsh poetry prize – sounds great – shades of my fave, Dylan Thomas. Not that I’m actually Welsh – but still …..
PS how does one download or obtain entry form ?? Please can you let me know when the closing date for this competition is please? I have entered four poems for your competition this year. Two of these poems I had submitted for consideration elsewhere back in January, and have since discovered that one is being published and another may be published at the end of July. I had assumed that, having not heard back for over four months, it would be acceptable to submit. I apologise for this, as I appreciate this can cause issues and/or be a waste of time. I notice that you have previously advised mid-July as the date they can not be published before? Please advise on how best to resolve the situation. We don’t announce the ‘exact’ winners date, or the date for any prize night, until we’ve had all entries in. We only have one judge and as our judges read every single poem it is impossible to know how long that will take until we have a good idea of how many poems we might receive. Unlike many competitions who use so-called ‘filter judges’ to discard 90% of entrants poems before the main judge even sees them, we do not. That is why we believe we are more honest and fair. If you want to enter your poems elsewhere that is fine with us, as long as they are not published before our winners date. We will still publish (as per our rules) if they win a prize. So, to this end, we can give you an approx. date – mid-July for results. This is a great competition! Honest, anonymous judging and brave enough to publish the maddest/baddest poets out there! Keep up the good work! Hi, can’t find your postal address for entries? Yes, published on the site, plus we send to local and national media, plus as it states in rules, we publish in a future anthology. I’ve learnt some good stuff here. Definitely be entering this year! I’ve been involved with theatre recently and looking forward to getting back to poetry making. Currently working on something for this competition. Hope it comes together in time. Such a high standard to aspire to. I would like to receive your entry form and any information you may have on the annual poetry festival. When and where do we send in entries for this years competition ? Nice site, improvement on the old one I think. Look forward to this year’s competition and all the wonderful entries. Great new design, love it. Keep up the good work, a great competition with great judges and some fab winners! This is a great site, and I’m honoured to be once again part of this truly open and democratic Welsh Poetry Competition which goes from strength to strength. Welcome to our new website. Feel free to post a comment!